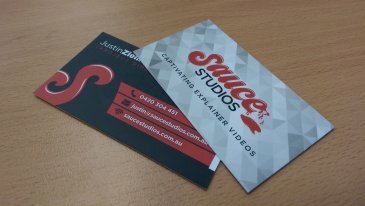 Established in 2004, artXpress has been designing and printing high quality business cards in Perth for over 14 years. 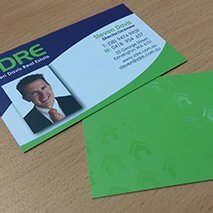 Servicing clients not only in Perth, but throughout the rest of Australia and beyond, we specialise in business cards designed to make an outstanding first impression. Working with individual clients right through to large, multinational corporations, every business card we print is produced to the same high standards and meticulous attention to detail. artXpress can work with your existing company branding or our team of highly skilled graphic designers can produce new branding and logos for your business cards, as well as for your other marketing collateral. From budget-friendly options through to metallic, plastic, die-cut, foiled or velvet varieties, artXpress has the widest range of business cards in Australia. artXpress offers over 14 different base styles of business cards (making 3000+ different possible combinations of styles, sizes and finishes) and can tailor an option designed to leave a lasting impression on your prospective customers. We invest the time in understanding each client, working collaboratively with them to design and print a business card that reinforces their value proposition. Using high quality 300gsm – 800gsm card stock, we offer full colour, spot colour and a host of other unique features designed to make your business card stand out from the crowd. artXpress has a proud heritage producing business cards for local Perth businesses, as well as for clients nationally and internationally. The artXpress team are committed to delivering the highest quality business card printing service in Australia. Regardless of the job size, we aim to provide good, old-fashioned service and strive to maintain ongoing partnerships with our clients. From basic, budget-friendly business cards through to something truly unique, we rely on both digital and offset printing methods to produce solutions tailored to each client’s individual needs. 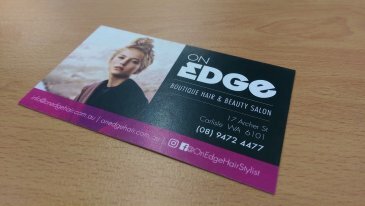 We offer same-day business card printing options for our Perth customers and our skilled graphic designers can work with you to design a great looking card that your customers will love. For the highest quality business cards delivered with customised service and competitive prices, contact artXpress today. Specs: 350gsm or 400gsm gloss card. Unlike many other printers, at artXpress, our most affordable business cards are still amazing quality. 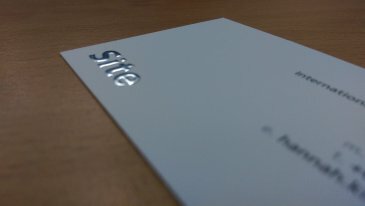 Our Plain Gloss Business Cards are printed on superior stock, never flimsy card that won’t last the distance. With a number of options, from single or spot colour through to full colour designs, these are an ideal option for a no-nonsense business card at a great price. Ask about our same day turnaround to have your business cards designed, printed and delivered in record time. Specs: 350gsm or 400gsm card with gloss laminate. A great value choice, our Gloss Laminated Business Cards are a clean and crisp option with an additional element of style and durability. artXpress employs only the highest quality stocks and laminates to ensure your business is represented in the best possible light over the long-term. Whether you’re located in Perth or anywhere around the globe, artXpress can design, print and deliver the highest quality Gloss Laminated Business Cards directly to your door. Specs: 350gsm or 400gsm card with matte laminate. artXpress specialises in printing Matte Laminated Business Cards with a premium, luxurious finish. 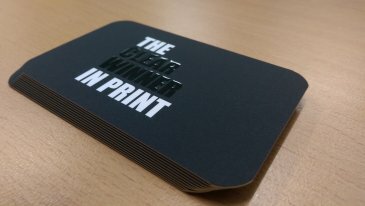 Available in mono, spot colour or full colour options, our Matte Laminated Business Cards add another dimension of style and professionalism to your company’s branding, helping you stand out from the crowd. We utilise high quality laminates to produce the most durable business cards, retaining their shape, colour and finish over the long-term. 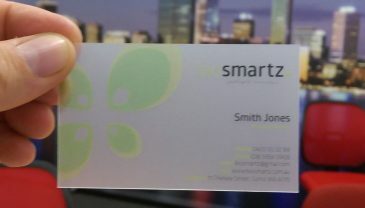 Specs: 400gsm card with matte laminate and spot clear gloss. 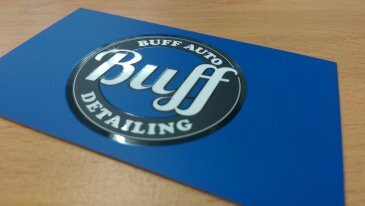 Our Spot Gloss Business Cards are a great option for drawing attention to particular images, text or logos. Produced with a silky, matte finish together with customised, gloss highlights, these business cards are a premium choice to elevate your branding to the next level. The creative experts at artXpress can work with your existing branding or tailor imagery designed to really make your Spot Gloss Business Cards pop. Specs: 450gsm card with velvet laminate and raised clear gloss. 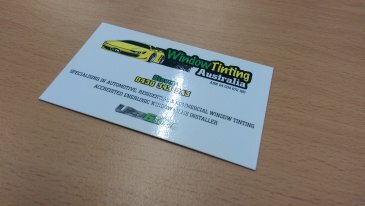 Whether you’re a small Perth based business or a multinational corporation, presenting a professionally designed business card to your prospective customers is a great way to make an impression. Our Raised Clear Business Cards are designed to help you do just that. Produced with a luxurious, velvet finish and raised, clear layers to enhance your logo or imagery, these business cards create an immediate and lasting impact, helping your business stand out from the crowd. 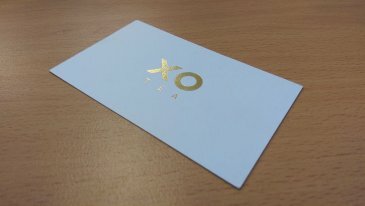 Specs: 450gsm card with velvet laminate and raised metallic gold or silver gloss. artXpress’ Raised Foil Business Cards take highlighting your branding to the next level. Finished with sumptuous velvet laminate, we meticulously and selectively add dazzling gold or silver metallic highlights to produce an overall outcome that is impactful, professional and super-premium. These business cards are designed for organisations keen to make an immediate and lasting impression on their prospective customers. Add the bling factor to your branding with artXpress’ Metallic Foil Business Cards. 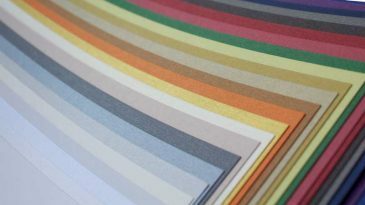 Available with coated, uncoated or laminated stock options, we have 32 foil colours to choose from, ensuring a solution that works seamlessly with your existing branding. 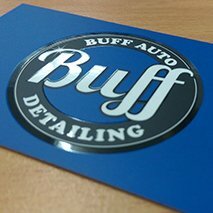 Alternatively, our creative experts can tailor new logos or branding for your business that professionally incorporate these eye-catching foil features. Whether you’re located in Perth, across Australia or internationally, contact artXpress for Metallic Foil Business Cards that are truly out of this world! Designed to be used in addition to standard business cards, our Appointment Cards provide an easy and convenient way to ensure your customers remember their appointments and keep coming back to you. 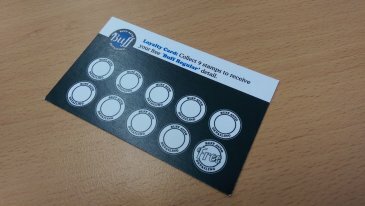 Ideal for medical professionals, hairdressers and businesses offering loyalty rewards, such as coffee shops, our Appointment and Coffee Cards are uncoated, making them easy to stamp or write on. Contact artXpress to find out why more and more Perth businesses are choosing us for all their business card and general printing needs. Specs: 86 x 54mm international credit card standard size, 0.36mm or 0.76mm thickness. For a business card solution that will not only make an immediate impression but also stand the test of time, artXpress produces high quality plastic business cards in an array of options. With rounded corners and a choice of either gloss or matte finish, our Plastic Business Cards are ultra-durable as well as completely waterproof. With over 14 years’ experience producing business cards for a diverse range of businesses both in Perth and internationally, artXpress is the Plastic Business Card printing expert. For a high-tech, futuristic finish, artXpress specialises in producing Metallic Business Cards in a range of colour options. 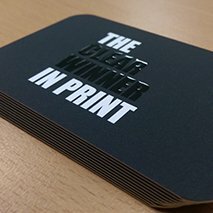 From subtle, matte metallic styles through to high-sparkle finishes for added bling, artXpress can customise a Metallic Business Card designed to make a lasting impression with your prospective customers. Servicing businesses in Perth, across Australia and around the globe, we work closely with our clients to produce the highest quality and best value business cards available. Specs: 0.6mm or 0.7mm thickness. 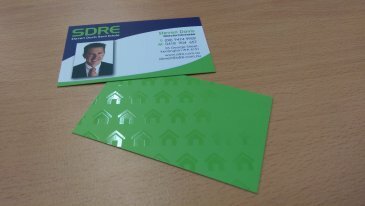 Magnetic Business Cards are a great way to ensure your business remains the first point of call for your customers. Successfully utilised by tradespeople, real estate agents, veterinary surgeries, emergency services and a variety of other businesses, Magnetic Business Cards will stick to most metallic surfaces, ensuring your contact details are readily at hand when your customers need you. artXpress is the Magnetic Business Card printing expert with an array of options perfect to promote your business in Perth, across Australia or beyond. Specs: 180gsm or 285gsm frosted card. 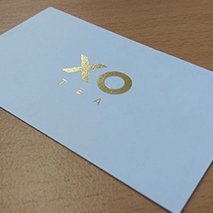 For a truly unique business card solution, artXpress specialises in translucent Frosted Business Cards designed to make a real statement. 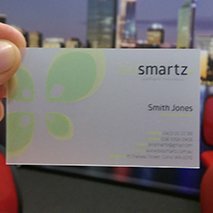 With over 14 years’ experience printing business cards for organisations in Perth and across the globe, we can tailor a solution specific to your needs. Available in an array of colours, our Frosted Business Cards are both impactful and durable to ensure your business continues to make an impression both now and into the future. Specs: Gloss or matte, split-back paper label. artXpress specialises in printing Business Card Stickers designed to promote your business across a range of applications. Ideal for use on packaging, corporate material, company equipment and for a host of other purposes, our high-quality Business Card Stickers will help ensure your business sticks around long after your competitors are forgotten. We customise designs to suit each client’s specific requirements and can even produce synthetic Business Card Stickers for outdoor applications. Contact Perth’s business card printing experts today for the highest quality, competitive prices and good, old-fashioned service. artXpress is the expert in printing a variety of ID Cards and Rewards Cards, customised to your needs. 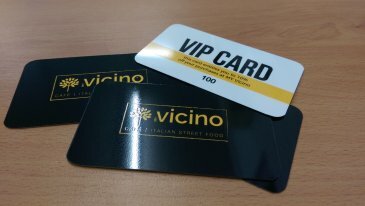 Whether you require laminated ID cards complete with lanyard holes for your staff or reusable loyalty cards designed to reward your customers, we’ll work with you to create an outcome that is functional, aesthetically pleasing and which enhances your company’s branding. 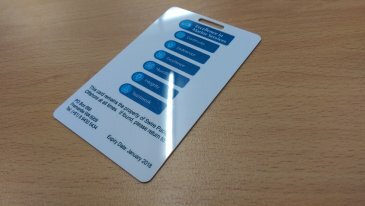 Available with a number of customised features such as variable data printing and barcodes, artXpress’ ID and Rewards Cards are produced using the highest quality stocks and laminates for maximum durability. artXpress has 14 years experience delivering the highest quality business card and other printing services to individuals and businesses in Perth, across Australia and internationally. Our highly skilled team employs both digital and offset printing methods as well as an array of specialty applications designed to really make your business cards stand out from the crowd. At artXpress, we strive to build long-term partnerships with all our clients. Regardless of what style of business cards you’re after, we’ll go above and beyond to ensure we create a solution that exceeds your expectations. We are committed to delivering good, old-fashioned service and work hard to maintain our reputation for professional excellence. 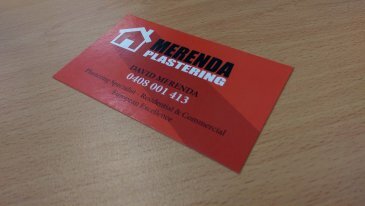 artXpress specialises in quick turn-around business card printing for our Perth, national and international customers. We manage everything including business card design, print and delivery and offer same-day service on select styles. If you require business cards in a hurry, give us a call for the highest quality, priority service. When it comes to business cards, artXpress has the widest range available in Australia, with 14 different base styles to choose from. From budget-friendly options through to premium styles, we guarantee to design and print the highest quality business cards, ensuring 100% client satisfaction. 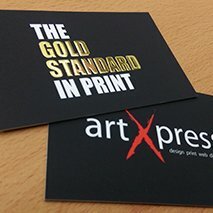 artXpress designs and prints business cards for small, Perth businesses right through to large, international corporations. Regardless of the project size, every artXpress client benefits from our experience and the highest level of attention to detail. Trust the business card printing experts to ensure your organisation makes the right first impression. If you’re after a business card that really differentiates your business and gives you an edge over your competitors, we’ll deliver. 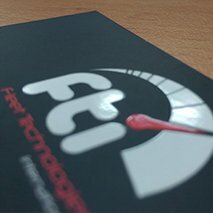 With over 14 years’ experience producing customised business cards for clients both in Perth and across the globe, our creative team will design a solution unique to your business. With an array of options such as die-cut, embossed, magnetic, plastic and 3D business cards, we’ll work with you to ensure your new business cards wow your prospective customers. Many of my clients have taken notice of my Business Cards and commented on how good they look. That has never happened to me before and I feel proud handing them out! You guys have turned my dull and boring Business Cards into a masterpiece! Excellent work. Thanks a million for getting those Business Cards done so quickly – we were lucky to stumble across your website, and glad we did! Look forward to our next lot of Business Cards from you. Just a quick email to say the Business Cards look fantastic! Thank You so much for making that happen! You always provide such a professional and helpful service and I would be lost without you! Thanks again. 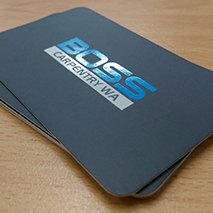 artXpress offers High quality business card printing in Perth, WA.